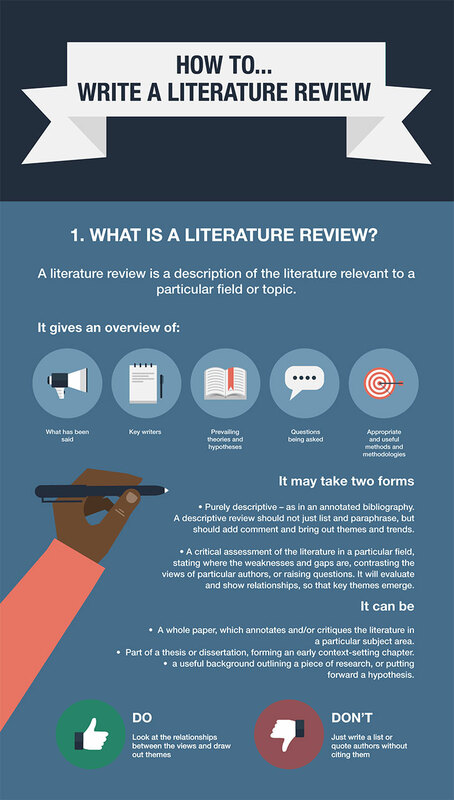 A literature review is much more than an annotated bibliography or a list of separate reviews of articles and books. It is a critical, analytical summary and synthesis of the current knowledge of a topic. Thus it should compare and relate different theories, findings, etc, rather than just summarize them individually. In addition, it should have a particular focus or theme to organize the review. It does not have to be an exhaustive account of everything published on the topic, but it should discuss all the significant academic literature important for that focus. This is meant to be a general guide to writing a literature review: ways to structure one, what to include, how it supplements other research. For more specific help on writing a review, and especially for help on finding the literature to review, sign up for a Personal Research Session by calling the Ask Here Desk at 406-657-1662 or sending an email to library@msbubillings.edu.